These Lifewords are taken from The Message and are refreshed regularly. Do you want to read more of the Bible? You can always start on the first page (the Book of Genesis) and read through until the end, or choose another reading plan as the Bible’s 66 books don’t necessarily have to be read in order. Find a reading plan that works for you at biblegateway.com. 98five mainly uses The Message on-air and here on our Lifewords page, however there are a number of different translations and languages you can choose from. Want to watch a really creative summary of every book of the Bible in about seven minutes per book? 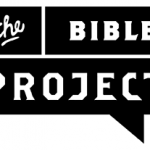 The Bible Project is a US non-profit that utilises short-form, fully animated videos to make the biblical story accessible to everyone, everywhere. They create videos, podcasts, and study guides that explore the Bible’s unified story by focusing on its overarching themes and each book’s literary design. committed to understanding the Bible in its historical context and communicating its wisdom for the modern world; and not part of any specific Christian denomination or tradition — their mission is to help people from all backgrounds see the Bible as a unified story that leads to Jesus. The Centre for Public Christianity (CPX) is a not-for-profit media company that offers a Christian perspective on contemporary life. We seek to promote the public understanding of the Christian faith by engaging mainstream media and the general public with high quality and well-researched print, video and audio material about the relevance of Christianity in the 21st century.